Marine litter is a major environmental problem that is being faced around the world, especially by small island developing countries. The litter is generated due to fishing boats, trawlers and industries located near to the shores. 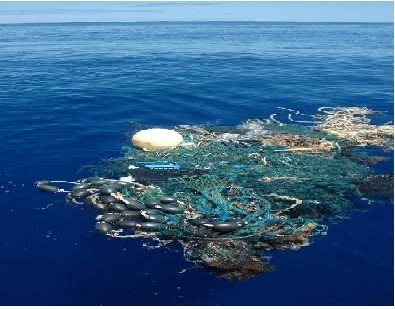 Up to 80% of all marine litter in our oceans consist of plastic and from the land based activities which is spilled in water and severely affect the marine life. The subject is of immense importance as more than 8 million tons of plastic enters into the ocean each year, which is equal to dumping a garbage truck of plastic every minute. This dumped plastic impact marine wildlife, fisheries, tourism, navigation, affecting marine vessels and human health. The financial damage is assessed at least $8 billion to marine ecosystems. Over the last ten years we have produced more plastic than during the entire last century. 50% of the plastic we use is just once and later throw away. Enough plastic is thrown away each year to circle the earth four times. Unfortunately, we currently recover only 5% of the plastics we produce, which accounts for around 10% of the total waste we generate. The production of plastic uses around 8% of the world’s oil production. Million tons of plastic can be found in swirling convergences in the oceans making up about 40% of the world’s ocean surfaces, while 80% of pollution enters the ocean from the land. According to estimates, at the rate we are dumping items such as plastic bottles, plastic bags and plastics cups after a single use, by 2050 oceans will carry more plastic than fish and an estimated 99% of seabirds will have ingested this uncontrolled plastic. The continuous use of plastic and allied products in our daily life and its accompanied pollution adversely affects our oceans. Plastic pollution is reaching our beaches, settling onto the ocean floor and ultimately rising through the food chain into our food we eat. The pollution is causing irreversible damage to the environment and the problem is getting worse with each passing day. It is alarming to note that around 51 trillion microplastic particles are found in our oceans which is 500 times more than stars in our galaxy seriously threatening marine wildlife. With this alarming situation on marine pollution continuing, we cannot blame national and regional organizations and authorities. We need to act now and create awareness regarding dealing with plastic pollution at all level of its usage. The major sources of marine litter are micro plastics which are found in daily use products like cosmetics, tooth paste tubes, single-use plastic bags and containers. The United Nations Environment Program has launched an unprecedented major global campaign on Clean Seas to end and eliminate marine litter which is plaguing the world oceans and pristine water bodies. The CleanSeas Campaign was launched at the Economist World Ocean Summit in Bali, Indonesia which is urging governments to implement plastic reduction policies, targeting industry to minimize plastic packaging, redesign products and calling on consumers to change their throwaway habits before irreversible damage is done to our seas. The campaign aims to achieve major outcomes by the year 2022. The CleanSeas campaign are planning ambitious measures to be adopted by countries and businesses to eliminate micro plastics from personal care products, ban or tax single-use bags, and dramatically reduce other disposable plastic items. Many countries have already joined the campaign with far-reaching pledges to fight with the growing menace of marine litter and micoplastics. We as individual needs to plan and act to avoid, minimize and stop using plastics and discarding any waste and litter. To support the movement, we need to make personal commitments to reduce plastic waste by small but meaningful actions like avoiding plastic bags and carrying reusable cloth or paper bags. Minimizing or eliminating the use of plastic water bottles, saying ‘no’ to use of straws and choosing products without microbeads and plastic packaging. Avoid all types of packaging and support alternative environmental friendly material. In addition, we need the engagement of all relevant stakeholders, including civil society, private sector and all citizens to support national and global efforts in eliminating the plastic pollution and containing marine litter. Only through a real and active engagement by all of us and with the help of dynamic partnerships, we will be able to effectively manage marine litter. The Ocean is the lifeline of our planet and we are polluting it by unnecessary dumping of plastics and litter. Let us join hands in combating this menace and work for a cleaner environment for our healthy living and also for our future coming generations. Previous post: Should Your Cat Be Indoors or Outdoors?